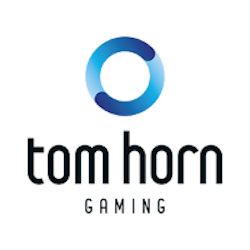 Online casino games developer Tom Horn Gaming has successfully applied for a license from the UK Gambling Commission. The fledgling company has been granted a Combined Remote Operating License earlier this week, which means they will be fully able to provide their gaming content to the well regulated UK Gaming Market. The company successfully applied for a license from the Malta Gaming Authority just last year so things are definitely gearing up for the developers. CEO of Tom Horn Gaming, Ondrej Lapides is very happy that the company can now finally attempt to fulfill their strategic mandate of expanding their products into regulated markets. Their first live games are expected to be released in the next few weeks. The UK gaming market is one of the most well regulated and also oldest markets in the global industry. Players will surely welcome a new hat in the ring to bring some more variety and diversity to the very competitive market. Naturally Lapides also notes what a massive milestone this is for the relatively young company, especially so soon after they received licensing approval in Malta. He also stated his admiration for the UK gaming market’s continued dedication to social responsibility and player protection with its responsible gambling initiatives. He went on further to state that this license is simple statement on the quality and reliability of Tom Horn Gaming’s products and services. He also feels it shows just how far the company has come in a very short time span. He hopes that the storylines, unique mechanics and the company’s ethos and principles will help secure them a place in the market. Now that Tom Horn has proved themselves in the eyes of the Gambling Commission, it is time to prove themselves to the players. Tom Horn has an extensive library of original titles perfect for real money gaming online. While pokies are their bread and butter, they actually have a comprehensive suite of casino games. These include table games like European Roulette, Three Card Poker, Blackjack and more. They also have 12 Video Poker games, Scratch Card and Bingo games along with 4 versions of Keno. The pokies are their most diverse games though with titles like Sky Barons, Middle Earth, Treasure Island, Book of Spells and Chicago being big hits with fans. Tom Horn titles often take inspiration from other popular licenses and themes and as such their pokies have a great aesthetic of familiar yet original action.